5. There are a few rules to follow when fishing for redfish, and for the most part all bull reds will be to large to keep. All redfish must be between 15 and 23 inches, only 3 fish can be kept per person per day, and no fish caught past 3 miles offshore (federal waters) can be kept. 1. 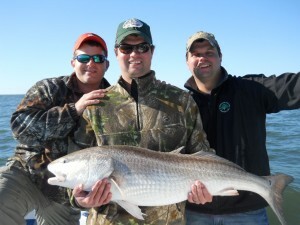 The best time to target Bull Redfish in South Carolina is mid October until Mid December. 2. 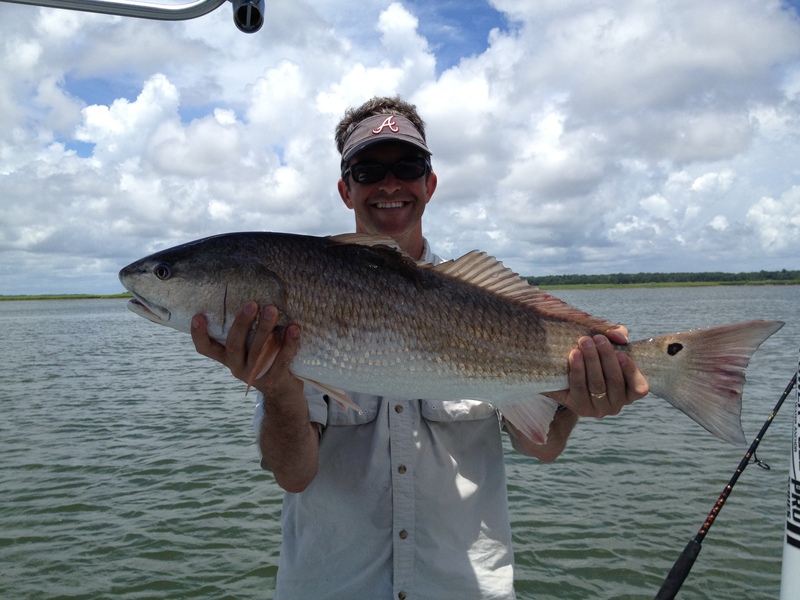 The best places to target bull reds are around near shore wrecks such as the Gordon or the Beaufort 45 or over hard bottom in the sound such as Baypoint. This entry was posted on Thursday, August 18th, 2016 at 5:23 pm	and is filed under Fishing Techniques & How To's, Recent Fishing Reports. You can follow any responses to this entry through the RSS 2.0 feed. You can leave a response, or trackback from your own site.